So here's some interesting insight into the wild, rough-and-tumble world of wireless product launches: Verizon announced ZTE's AD3700 USB modem today, a product that gained FCC approval over five months ago, which means it's probably been getting a trial by fire on Verizon's test labs since then. You've gotta figure that ZTE was working on the prototype for many months before FCC approval, so all told, this launch is probably a culmination of a solid year of work, cash, blood, sweat, and tears. Don't you feel obligated to buy it now? Anyhow, the modem runs $79.99 after a $50 rebate when it launches on the 14th, which is actually a really solid deal considering that it'll do EV-DO in the States and HSPA around the world for 3G service no matter where your job or your whimsical vacation travel habits might take you. 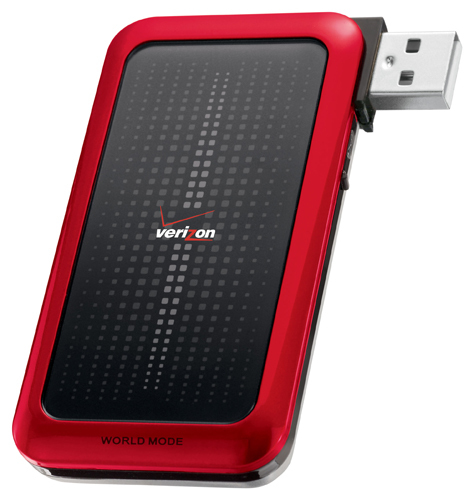 Verizon announces AD3700 global modem from ZTE originally appeared on Engadget Mobile on Thu, 13 Aug 2009 13:14:00 EST. Please see our terms for use of feeds.